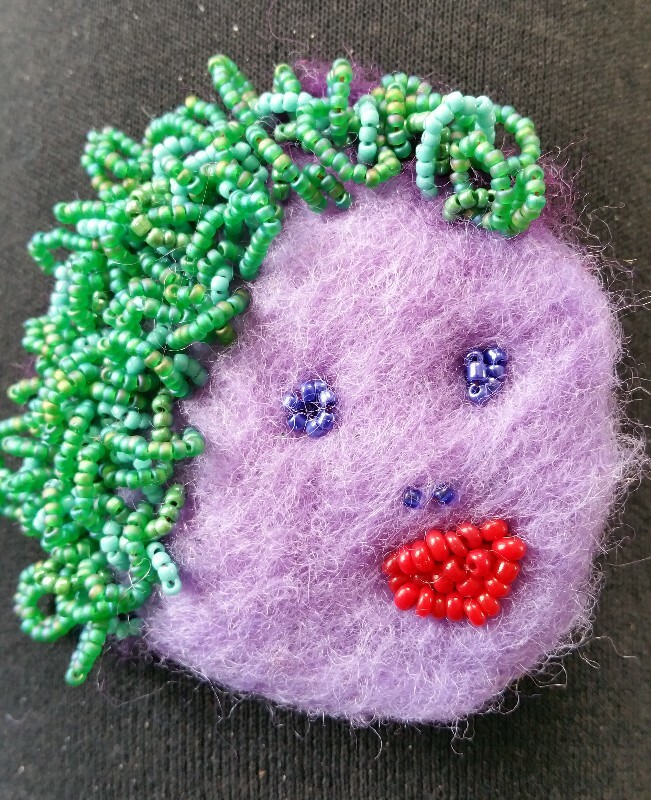 Voor Bead Journal Project 2016 voor april heb ik een basis gevilt. Hiervan heb ik een gezicht gemaakt. Naast alle prachtige bloemen is alles zó GROEN! For Bead Journal Project 2016 April I felted a base. I made a face out of it. Beside all the nice flowers everything is só GREEN! I haven't looked at the Bead Journal Project in quite a while. When I scrolled through all the gorgeous things people have been making I was quite taken by your faces. They are simply wonderful! So expressive. It will be amazing to see them all together. Thank you Liz. Do you have a blog yourself?